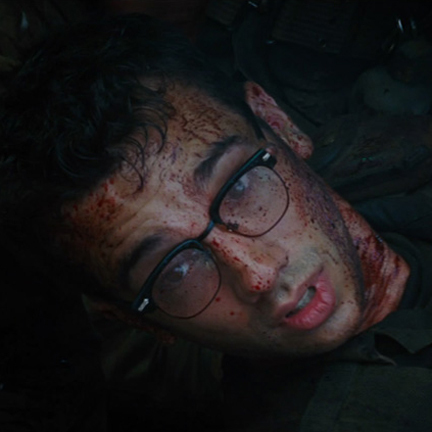 These are Kevin Sandusky's (Jay Baruchel's) bloody glasses from the 2008 warfare comedy Tropic Thunder. The opening sequence is the film within the film, in which the Vietnam War sequence is played out. 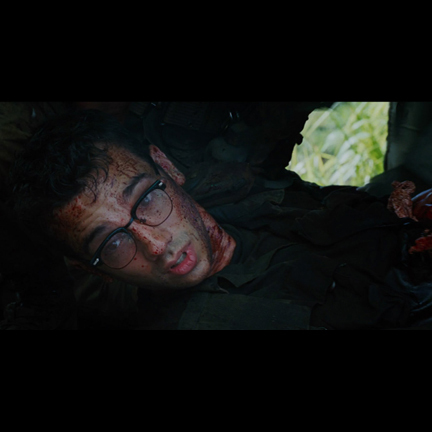 In this scene, Sandusky is stabbed in the stomach by a Vietcong warrior with a bayonet. Blood splatters all over him. 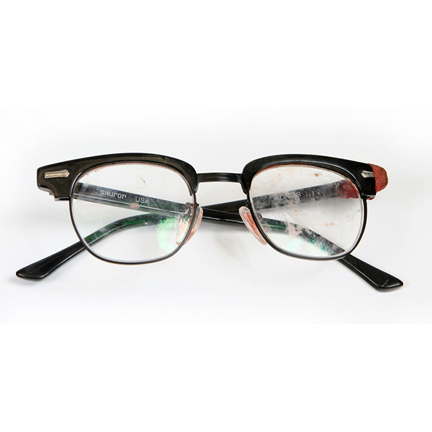 These are the bloody glasses worn in that scene. 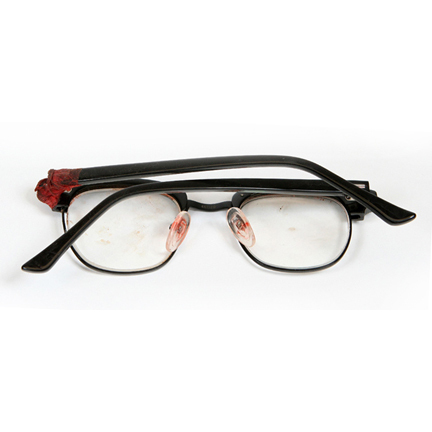 This classic pair of glasses is the ebony Shuron Ronsir with black chassis. There are blood and dirt all over the glasses. One joint has tape wrapped around it. One of the lenses pops out because the rim is detached, and one hinge doesn't open. 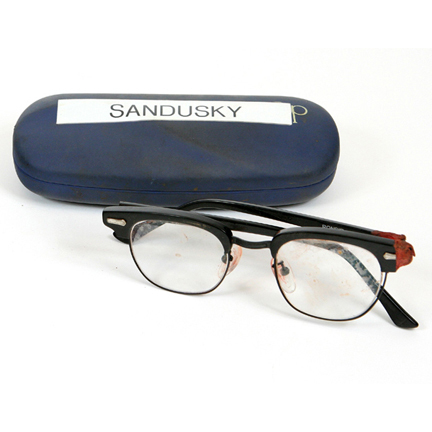 The glasses come in a case, also bloody, with a label on the top that says "Sandusky." These glasses are in good condition with some wear due to production use. Accompanied by a letter of authenticity.